Awards: Won 3 Oscars. Another 48 wins & 47 nominations. 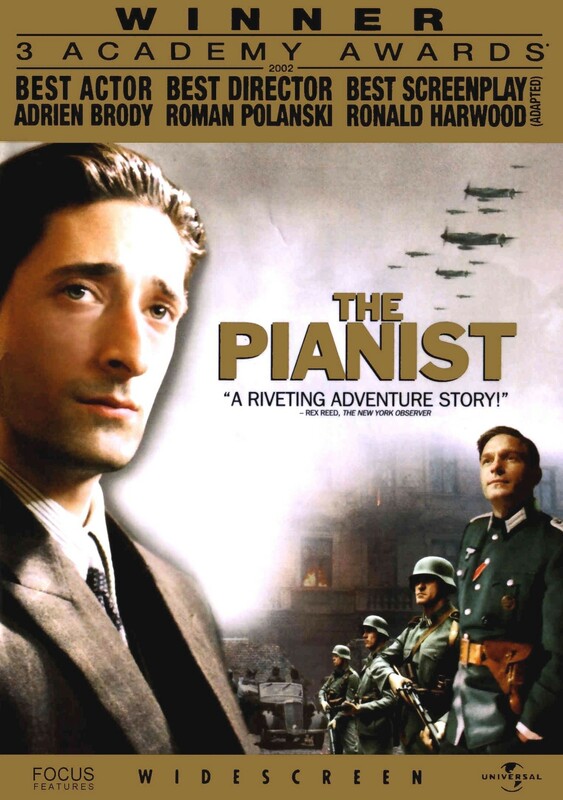 The true story of Wladyslaw Szpilman who, in the 1930s, was known as the most accomplished piano player in all of Poland, if not Europe. At the outbreak of the Second World War, however, Szpilman becomes subject to the anti-Jewish laws imposed by the conquering Germans. This entry was posted in Biography, Drama, History and tagged Adrien Brody, biography, Drama, Emilia Fox, history, Roman Polanski, Ronald Harwood, Warsaw Uprising, Wladyslaw Szpilman, World War II. Bookmark the permalink.